Liquid Design Installations offers two types of bathroom design service. 'Home Survey and Design' - for more details please click here. 'Design Only' - for more details please click here. Both these services are geared towards producing construction quality information that contains sufficient detail for a contractor to price, plan and install a new bathroom in your property. We do charge a fee to cover the costs of producing the level of detailed information that we provide. 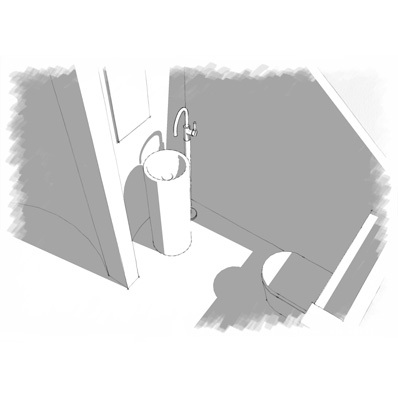 However, if Liquid Design Installations is employed to install your new bathroom we will reimburse the costs of any design work we have undertaken. The ultimate aim of our design service is to offer a properly considered design that not only benefits from our experience and technical knowledge, but also meets the brief that we are given.